As Record Store Day draws near, we find ourselves shuffling our weekend schedule so much that it looks like we’ll be making three separate trips to Grimey’s for the festivities on Saturday. And although there’s no promises of a Bat Poet appearance (he showed up last year), we’re still looking forward to it. Grimey’s has lined up a solid list of performances, and you can count on the Yazoo beer & BBQ showing up. The Avett Brothers and MuteMath are the big names playing this year, but it’s all free anyway… So check out a band or artist that you haven’t heard before. In addition to the shows, Grimey’s back lot is bound to be overflowing with discount music, and they’ll be carrying a bunch of big releases a few days early. 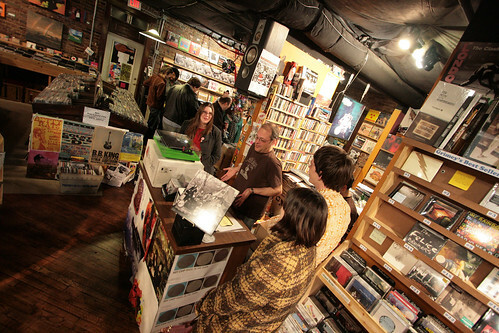 Grimey’s will be open from 10am-8pm on Saturday for Record Store Day.